We cut the old floor out with a cutoff wheel. Yes, this is hard, dirty work. Our buddy Jere Dotten helps us trim and prep the new panel to go in. The new panel is a tight fit. Your author taps it carefully into place. 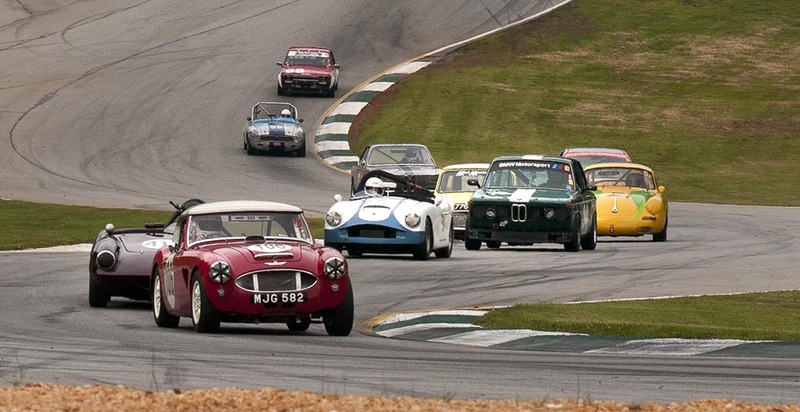 Restoration panels are not that hard to make if you have the right tools. 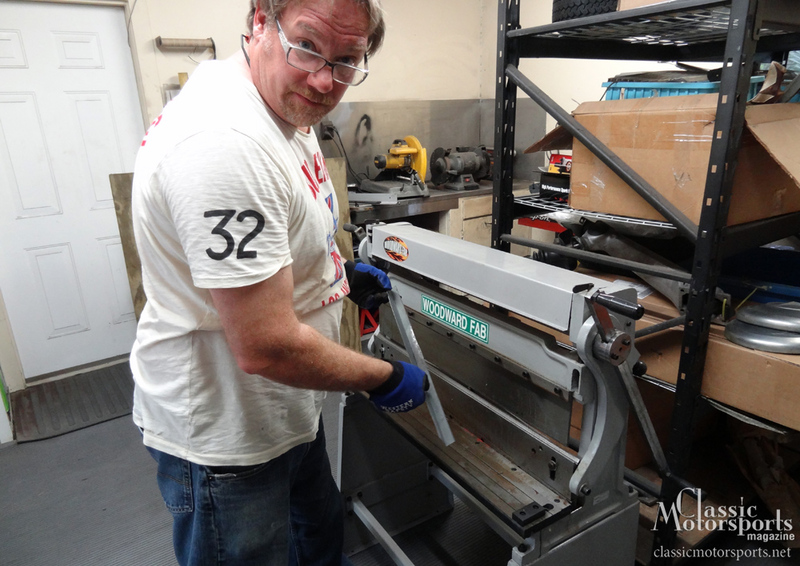 Our Woodward Fab 3-in-1 machine has proven to be a great tool. Almost there! Our new panel is in place. The brackets to hold the floor over the spare tire are waiting to get riveted in (as was done originally). 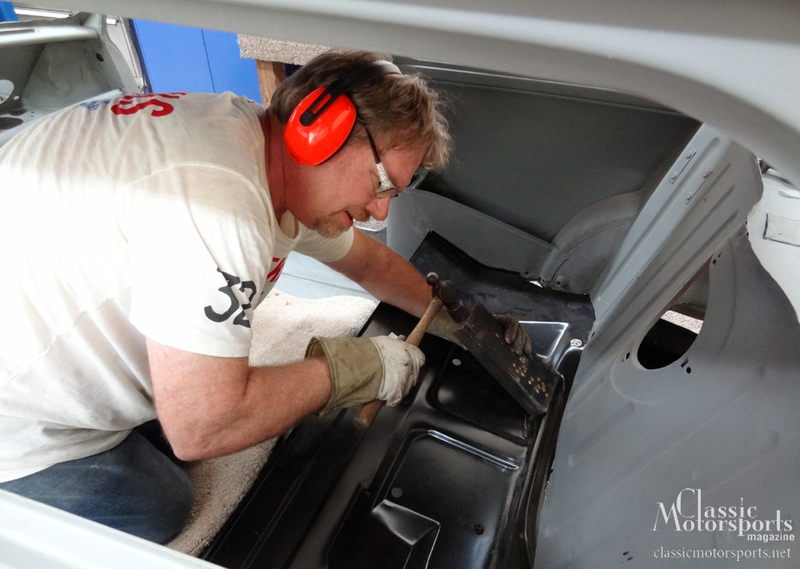 The final major metal working task on our Mini Cooper S project was to fix the trunk floor. What a mess! Nearly the entire floor was rusted and had then been patched with fiberglass. 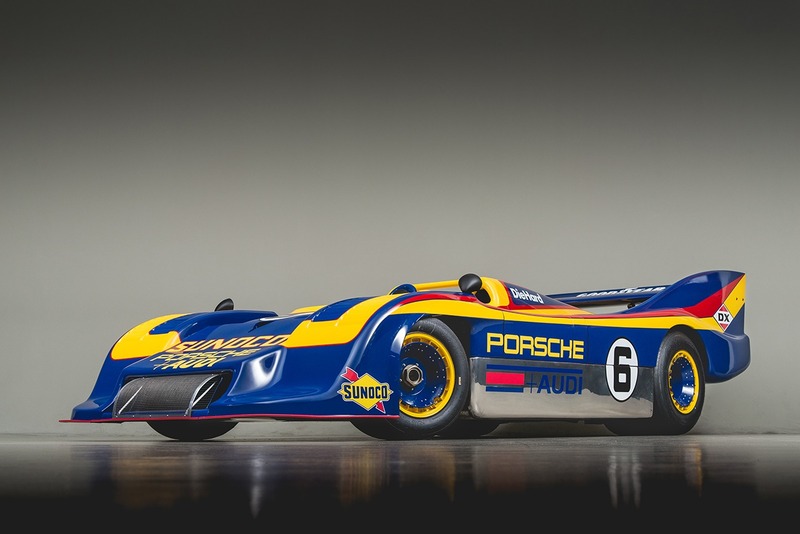 Fortunately, all of the original, riveted-on brackets (to locate the false fiberboard trunk floor over the spare tire) were still intact and mostly in perfect shape. We carefully drilled all these pieces out, media blasted and then primed them. They would go back in when we were done with the repair. The next step was to drill all the spot welds holding the trunk floor onto the rest of the body. From here, we could gently pry, chisel and coax the old rusty pan out of the car. With that done, we cleaned up the body where the pan had been attached. Then we prepped the new floor pan to be welded into the body by spraying it with Eastwood Weld-Thru Primer. 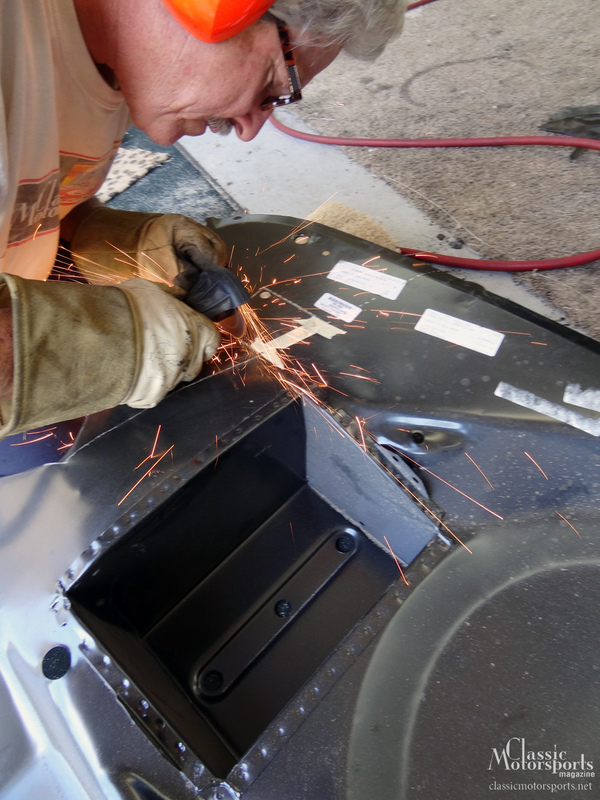 We carefully trimmed the new floor pan to fit and then plug-welded it into the body. We were amazed at how well the new pan fit and how this intimidating task ended up being pretty straight-forward. 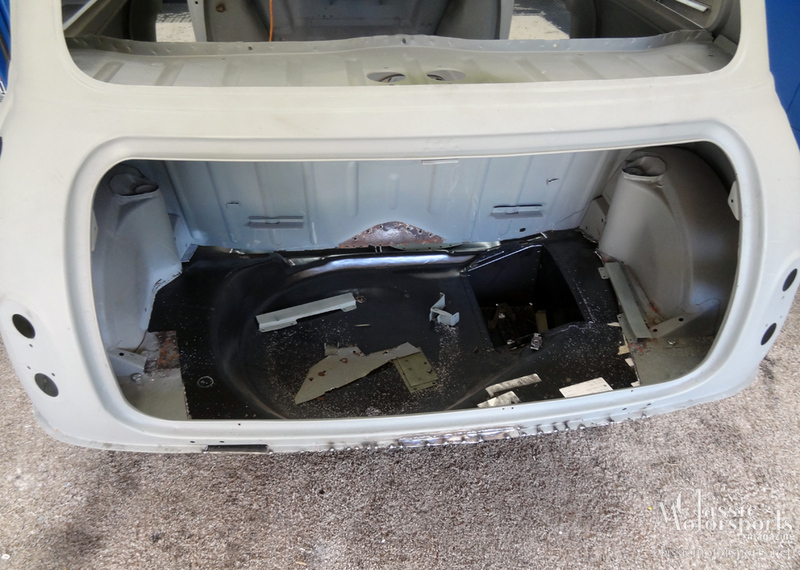 The next step was to repair the actual metal seat back panel that had rusted at the bottom. We cut off the bottom inch of this panel and carefully crafted a new patch panel using our Woodward Fab 3-in-1 machine to bend the right angle into this new panel. 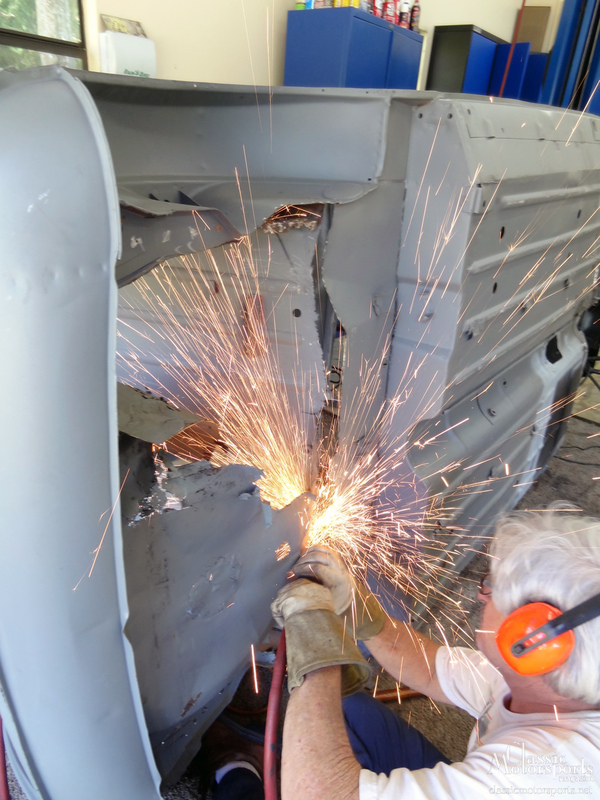 The final steps were to grind down and clean up our welds, weld the brackets and tie down straps back onto the bottom of the floor, then rivet the aforementioned trunk floor brackets back in.